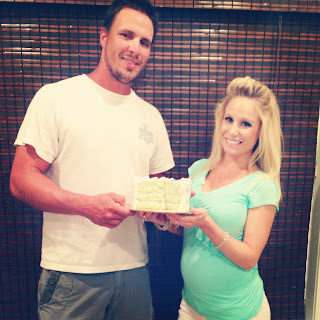 The Sweet Little Southern Charm by Tara Miller: He or She what will our baby be? 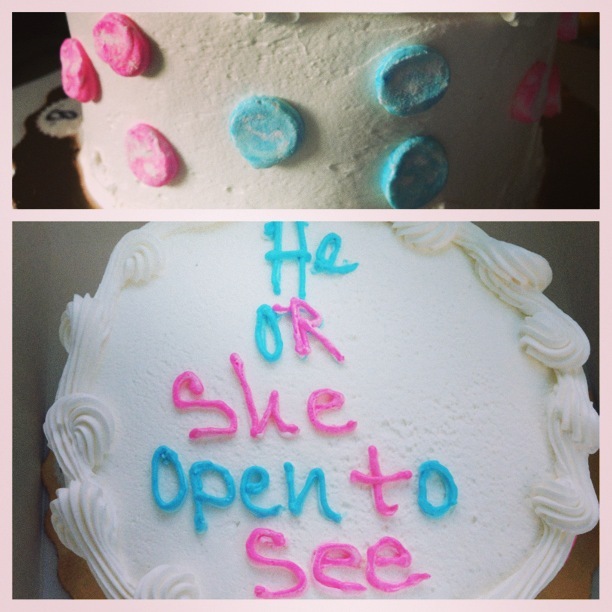 He or She what will our baby be? 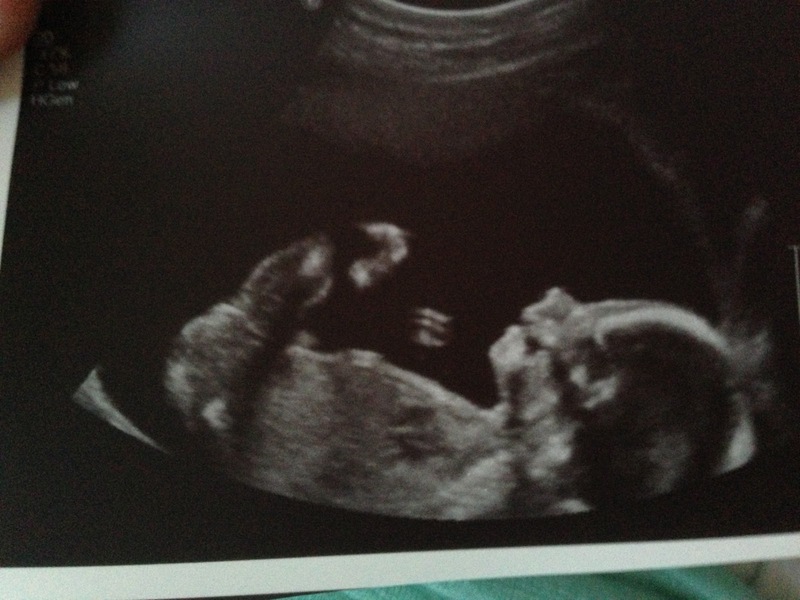 We had our ultrasound to determine if our baby was healthy and to make sure the baby measured correctly. They actually told me I was farther along than what I thought & changed our due date to September 20, 2013. We got to find out what we were having too!! 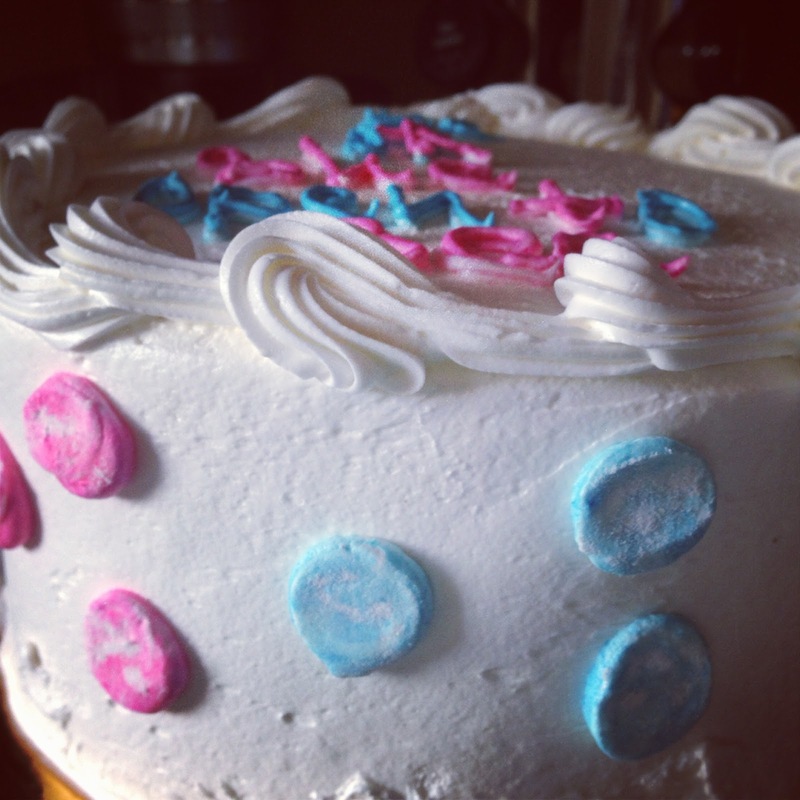 I went to a bakery and wanted to get a cake made to announce the gender! 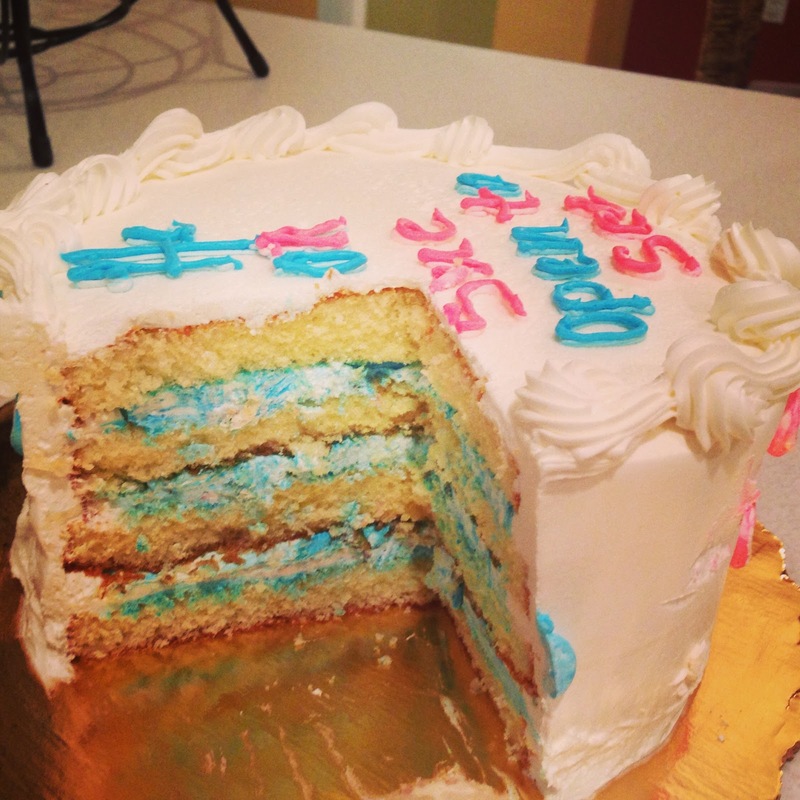 So they did half of the inside of the cake blue and half pink. The cake was only 15$ and was just a fun and cute way to announce the gender! 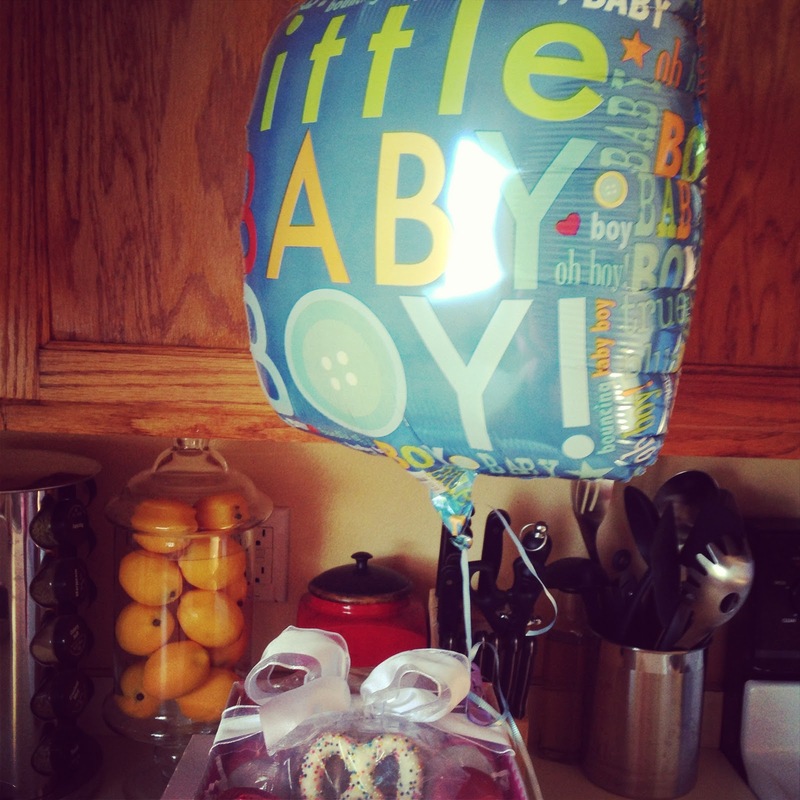 and the drum roll......we are having a healthy baby BOY!!!!YAY!! we are so excited and couldn't be happier!! 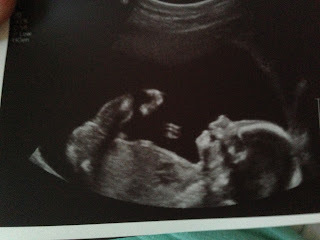 We our naming our baby Breckon Garrett he will be his daddys hunting and fishing lil buddy! It is such a miracle to have a healthy baby we feel so blessed and know God has answered all of our prayers! He was such a little mover in there! 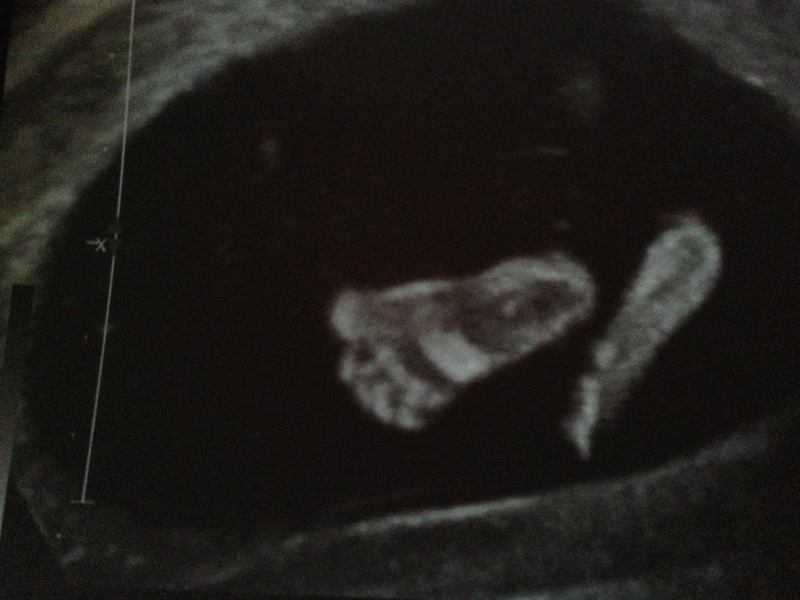 I think hes going to look a lot like his daddy;) look at those cute lil feet!!! 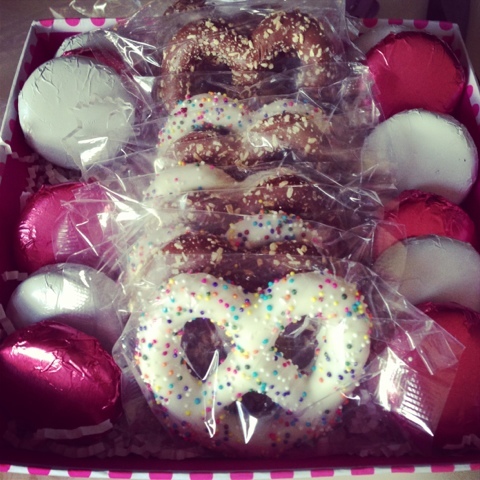 I am in heaven!! !